When we say good things are happening at The Nightwood, we are not messing around. We hosted Sofar Sounds at the space on March 8, International Women's Day, and got to experience a power lineup of unforgettable female artists. Artists Kingsley, Haley Johnsen, Blossom, and LYNX packed the house, while making the night feel like an intimate gathering. 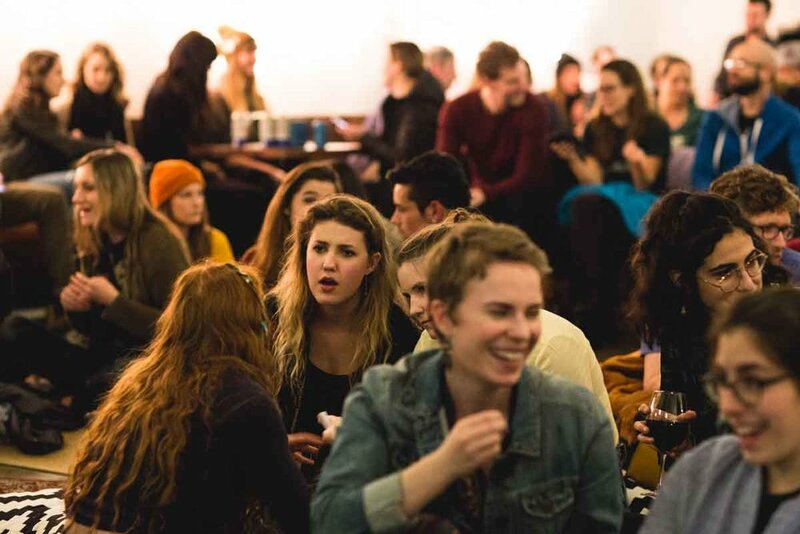 If you don't know what Sofar Sounds is all about, we recommend you dive right in. It's a community of artists and hosts who put together secret gigs around the world. It's a fantastic way to discover new artists, immerse yourself in sound, and hopefully make new friends. This was our first time hosting and won't be our last! Big up to Sofar Sounds, our beyond talented women artists, and our guests for being there!